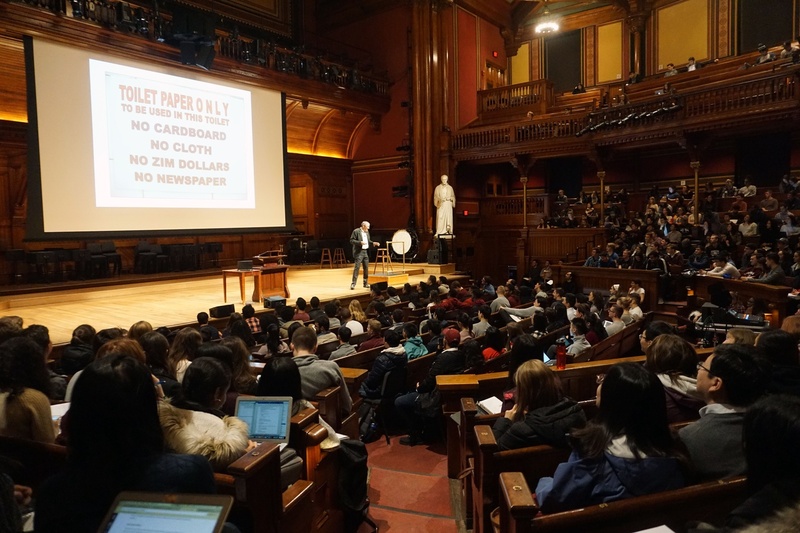 Professor N. Gregory Mankiw discusses the inflation of Zimbabwe dollars at the first lecture of Economics 10b: Principles of Economics in Sanders Theatre last year. Economics 10b: “Principles of Economics” has long reigned as spring semester's most enrolled-in class, but this year the course saw a new contender from within its own department — the brand new course Economics 1152: “Big Data." Professor Raj Chetty ’00, who teaches Economics 1152, rejoined Harvard’s faculty this summer after a stint at Stanford. He said he is “delighted” about the high enrollment, especially since it is the course’s first semester. The new course came in third place overall, behind Economics 10b and Life Sciences 1b: “An Integrated Introduction to the Life Sciences,” which had 443 enrollees. Economics 10b’s complementary fall course Economics 10a: “Principles of Economics,” fell from first to third in the enrollment rankings last fall. The spring iteration maintained its top spot, but still saw a decrease of more than 100 students this year, falling from 585 in 2018 to 455 students this year. Economics Professor N. Gregory Mankiw, who has taught Economics 10a and 10b since 2005, said he thinks students find the course’s incorporation of multiple disciplines appealing. Economics 1152 similarly focuses on incorporating interdisciplinary approaches, Chetty said. He said the course is designed to attract students in the College who many not have been exposed to economics or social sciences prior to taking the course. “The goal is to show how the questions and the issues being addressed in these fields are so important and so exciting and can use a lot of the tools that students are learning in other classes at Harvard like computer science, statistics, economics,” he said. 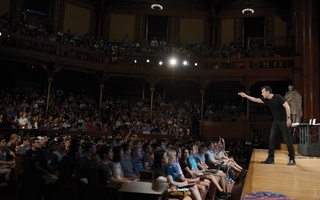 Chetty said he hopes to show the different ways economics can be useful in approaching social problems, and that the class might entice first-time economics students to try out more classes in related fields. 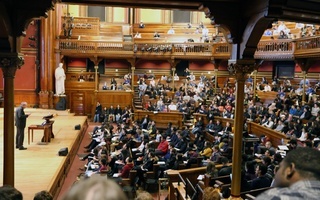 “What we’re trying to do in this class, which might be a broader shift in the way economics and social science is taught at Harvard and elsewhere, is to start with the questions and the applications and show students why it’s useful to learn the methods,” he said. Psychology 18: “Abnormal Psychology,” took the number four spot with 415 enrollees this year. The course focuses on the evaluation of the causes and mechanisms of mental illness, according to its course guide listing. The fifth most popular course this term is Statistics 104: “Intro to Quantitative Methods for Economics,” with 336 enrollees. The class was the second most popular course last year. Statistics Senior Lecturer Michael I. Parzen, who teaches the course, said students are drawn to the fact that skills covered in the course are applicable to a wide range of disciplines. — Staff writer Sophia S. Armenakas can be reached at sophia.armenakas@thecrimson.com.